LaShervia N. Williams, MPAS, PA-C, MLS is a proud native of Pine Bluff, AR. 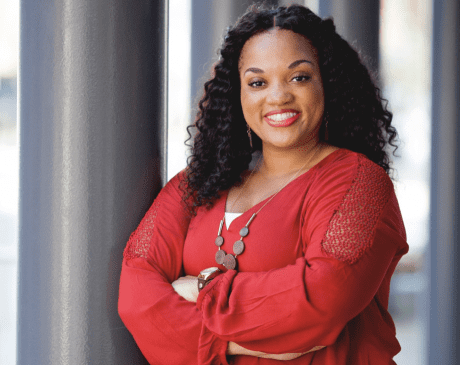 After graduating high school, she began her undergraduate studies at the University of Arkansas at Pine Bluff where she earned her first bachelor of science degree in biology in 2006. After college, she began working as a Medical Laboratory Technician in Hematology/Oncology. In 2011, she decided to further her education earning her second bachelors degree from the University of Arkansas for Medical Sciences in Clinical Laboratory Science in 2012. She worked as a Clinical Laboratory Scientist at Arkansas Children’s Hospital in Little Rock, AR and at Saline Memorial Hospital in Benton, AR before deciding to further her education in Physician Assistant Studies. In year 2017, she earned a master’s degree in Physician Assistant Studies from Christian Brothers University in Memphis, TN. In October 2017, Lashervia made the decision to settle in Dallas-Fort Worth joining the DFW Urology Consultants team as a Certified Physician Assistant where she is committed to making a positive impact while providing medical services to patients suffering from a broad scope of urological conditions. Lashervia is a member of the Texas Academy of Physician Assistants (TAPA), TAPA Public Relations Committee, American Academy of Physician Assistants (AAPA), American Society of Clinical Pathology, Alpha Kappa Alpha Sorority Inc, and the Alumni Women’s League. Outside of her career, Lashervia enjoys most her greatest role in life as a Mother. She also enjoys spending time with her family and friends, mentoring youth, and serving in her church and community.